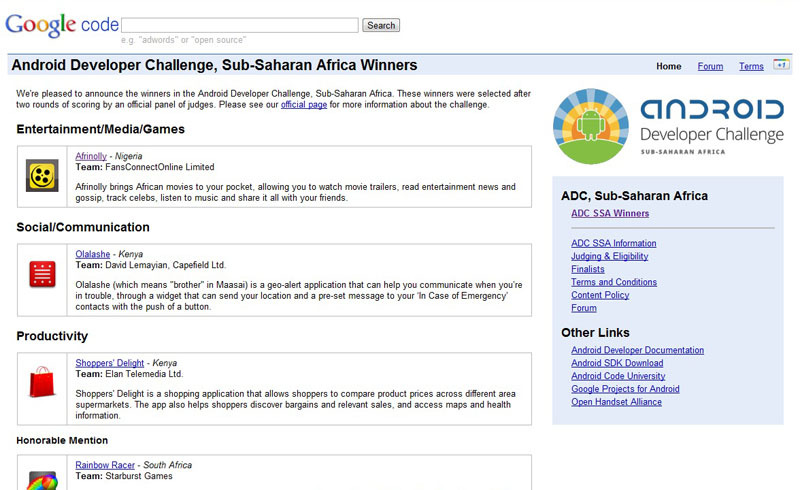 We’re pleased to announce the winners in the Android Developer Challenge, Sub-Saharan Africa. These winners were selected after two rounds of scoring by an official panel of judges. 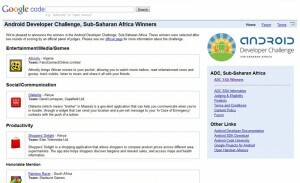 Please see our official page for more information about the challenge. 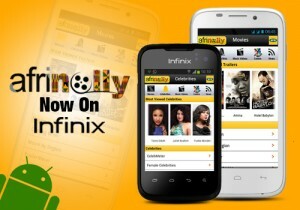 Afrinolly (African movies in your pocket) wins in the Entertainment Category. Watch trailers of movies produced in the African movie markets, most especially Nollywood. Get to watch African music videos, comedy online and full length movies on your Android Smartphones. 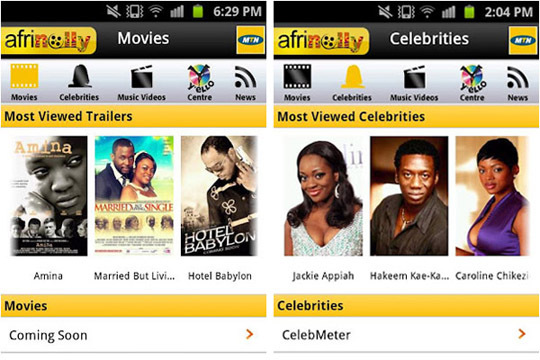 Afrinolly also brings to you the latest news and gossip about movies, music and celebrities in Africa. 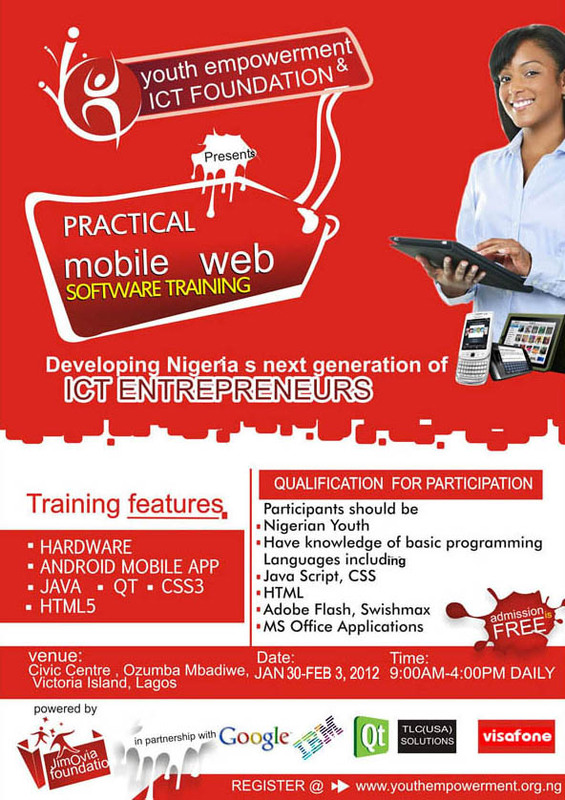 Go to www.afrinolly.com to download the app.